Grab yourself a tripod that is lightweight and easily transportable. 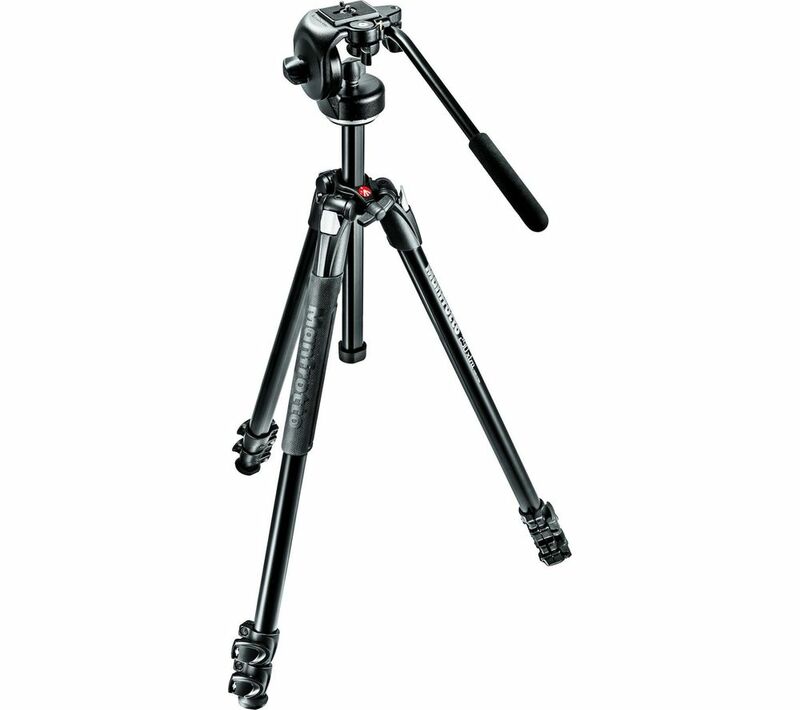 Suitable for vlogger's and mobile journalists, the Manfrotto MK290LTA3-V 290 Tripod combines a great design with superior durability. This means whether you're at home filming or in your local coffee shop, you can film with the professional fluidity of pan and tilt. The aluminium leg tubes are built to stay completely rigid so you can focus on the action as opposed to fiddling around with technical issues. You can adjust the two leg angles and levelling to create a setup that is easy to configure and can be used for all shots. The tripod also comes with the smallest and lightest video head in all of Manfrotto's range. The Befree Live Fluid Head which has a dedicated sliding plate to perfectly balance the latest camcorders, DSLR's or mirrorless cameras to create professional videos.